Marketing Football to Women: Touchdown Time! For marketers, football is almost as important as the holiday season. The all round appeal to both men and women has made football one of the most efficient delivery vehicles for marketing messages. Instead of Halloween, Thanksgiving and Christmas, the Football Holidays are the start of the season, the big game match-ups like the Manning Brothers Bowl, Alabama v. Anybody, the BCS and of course, the Super Bowl. Super Bowl cocktail party fact: Fox has already sold 85 to 90 percent of the commercial inventory for the 2014 Super Bowl, at a price of $4 million for every 30-second spot. Because of the major investment in television, the brands are extending their reach with social media, ala the famous Oreo blackout tweet. More women (50.4 million) tuned into last year’s Super Bowl than watched the Oscars (24.5 million), Grammys (23.8 million) and Emmys (8 million), according to Nielsen. The Super Bowl’s female audience has more than doubled from only five years ago, and the last three Super Bowl broadcasts have set records for being the most-watched shows by female viewers. For women, Marie Claire had an extra 16 page NFL insert in their September issue titled “The Savvy Girl’s Guide to Football.” There were five full-page ads for women’s apparel from the NFL’s Women’s collection, fashion tips, recipes and some football terminology. The insert was just one part of the NFL campaign that included print advertising, television and pop-up clothing boutiques at stadiums. The new apparel is not based on the traditional “pink it and shrink it” approach, but rather on jerseys cut for women and accessories made for women. Is it working? The sales of women’s apparel has tripled in the past four years. Click here for this year’s NFL fashion show. Tailgating is also a female sport with approximately $20 billion estimated to be spent at sports and non-sports events this season. There is also another new term – “homegating” – which refers to all the entertaining merchandise needed for the Saturdays and Sundays at home watching games with friends and family. And of course, that customer is also female. So if you think football, remember it’s not just a men’s event anymore. 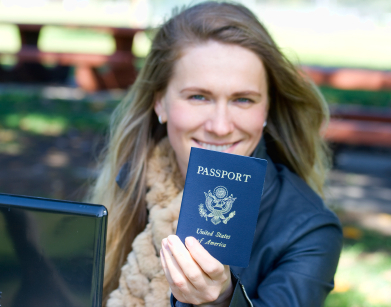 Marketing to Americans: Are Brands Patriotic? Can a brand be patriotic? Of course it can. And evidently Jeep meets consumer expectations for patriotism. It’s the brand associated with winning World War II. And in today’s world, it has come to symbolize American ruggedness and a sense of adventure. The Jeep brand is named in a survey as the most patriotic brand from 197 famous brand names in 35 categories. The brand lives its heritage and its brand associations with those things that make us American. Take a look at this Super Bowl spot for Jeep and the USO that has been viewed more than 7.6 million times. The emotional resonance of a brand is what takes it from everyday to icon. 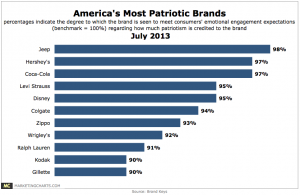 A new survey from Brand Keys asked 4,500 consumers to evaluate 197 brands across 35 category-specific emotional engagement values, with one of those values being how much patriotism they emotionally credited to the brand. Brand Keys recognizes that being patriotic is more than waving a flag, but actually having an authentic foundation for being able to wave the flag. Many of these brands would fall into the “American Icon” designation. Marketing to Women: Women Love Football Too! There is a prevalent myth among marketers that women don’t watch sports. The NFL is debunking that myth. Here’s some info from Advertising Age that shows that football scores with women. 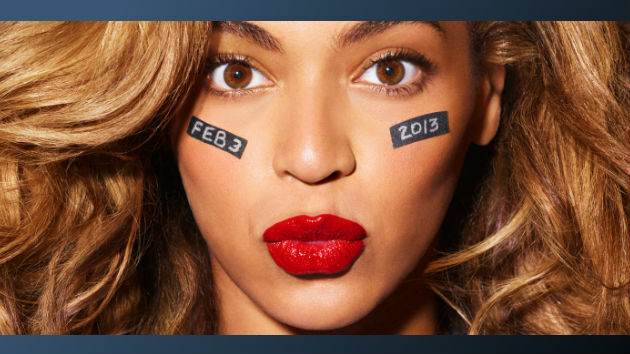 The Super Bowl’s female audience has more than doubled in only five years. The last three Super Bowl telecasts have set records for being the most-watched shows by female viewers. And NBC’s “Sunday Night Football” has become the first sports show to finish in the top spot in prime time. Why? Well the weekly match-ups ranked fourth among women 18 to 49 years old, behind only “American Idol” (Wednesday), “The Voice” and “American Idol” (Thursday). Another clue to the popularity should be the number of pink shoes and gloves you have seen on NFL players during Breast Cancer Awareness month. The National Football League and NFL Players Association support October’s National Breast Cancer Awareness Month with their fourth-annual national breast cancer screening initiative and fundraising campaign. The campaign seems to be working – 64% of NFL female fans and 61% of all NFL fans identify the importance of annual screenings, especially for women over 40. And football fashion is not far behind. 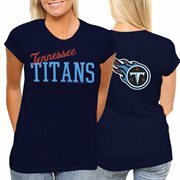 Remember those spots about NFL apparel for women? Well, it turns out that it’s the NFL’s fastest growing consumer-products business, showing double-digit growth. And who’s jersey reigns? Last year it was Pittsburgh Steelers safety Troy Polamalu among women’s jersey sold. Polamalu was followed by Peyton Manning and Drew Brees, who rank fourth and second on the men’s list, respectively, according to stats from NFLShop.com. The Dunham household has loved Troy Polamalu since he played for beloved USC Trojans. Troy’s brother-in-lay and business partner Alex Holmes says that of Polamalu’s more than 2,222,349 likes on Facebook, 49 percent of his fans are female. You are currently browsing entries tagged with Super Bowl at The Lipstick Economy.